All I can say is “wow”. What a great finish I had to the summer/fall this year. 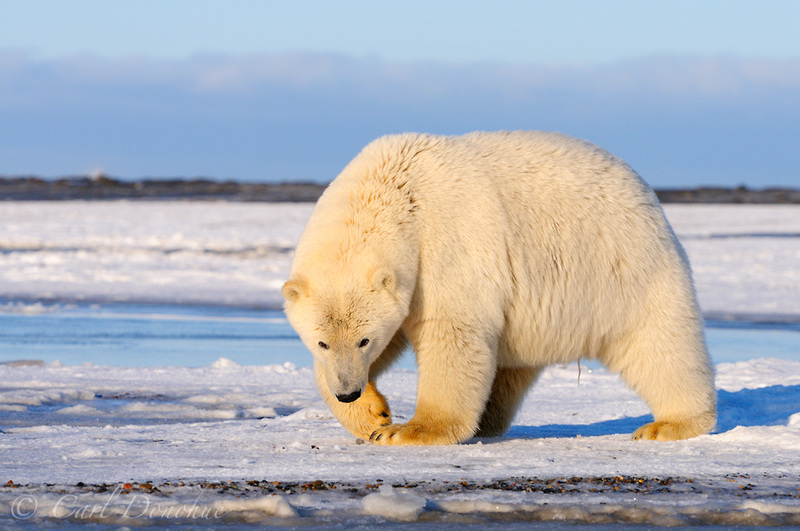 A trip to the arctic to photograph polar bears that couldn’t have been better. This beautiful bear, near the Arctic National Wildlife Refuge (ANWR), curiously approached across the ice; fantastic trip, I’ll post more about it once I get caught up on everything here. That is awesome, Carl! The bear looks gigantic! Thanks Richard. Actually, this bear is probably 4 years old, or thereabouts. Far from a full grown adult. We had a couple of big boars (male bears) come close by. and they’re ridiculously huge. Beautiful creatures. Carl, great close one of this fatty. Glad to see some of these guys are staying well-fed, or is that just your camera angle? Reminds me of some people’s overeating cats. Posted on Tuesday, October 16th, 2012. This epic photo was taken by Carl Donohue.